This month I thought I’d touch on TAANZ (Travel Agents Association of New Zealand) as an important association that APX Travel Management is very proud of. TAANZ is the regulatory body for our industry, and acts as the bonding authority for members. So what does that mean for our customers? Firstly, it means you’re dealing with a professionally trained business. TAANZ has strict regulations around minimum training standards, giving you peace of mind that our staff are professional and knowledgeable. Secondly, the bonding piece means that your dollars are safe with us. In the event of an agency or supplier default, TAANZ bonding ensures that the service you purchased will be delivered, or your funds will be returned. Finally, TAANZ acts as the agency voice of New Zealand with the International Air Transport Association (IATA), ensuring the New Zealand industry is well represented on the world airline stage. As a director of TAANZ, I definitely support the association and the value it presents to our customers. Keep an eye out for the TAANZ logo alongside our APX brand, as well as on our prominent blue helloworld advertising in the retail part of our business. 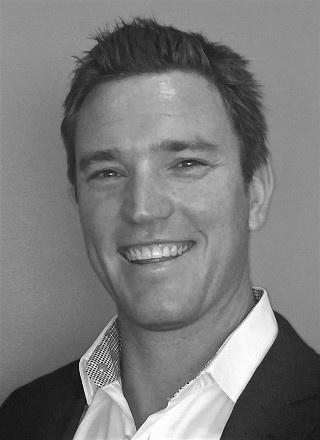 APX Travel Management is excited to announce the appointment of Matthew Chappell to the newly created role of Head of Sales for New Zealand. “It’s an amazing time to be joining the APX and helloworld team, when there’s so much opportunity and growth potential. I can’t wait to get my teeth into it”, said Matt of the transition. Matt will officially start with APX on Monday 6 November. 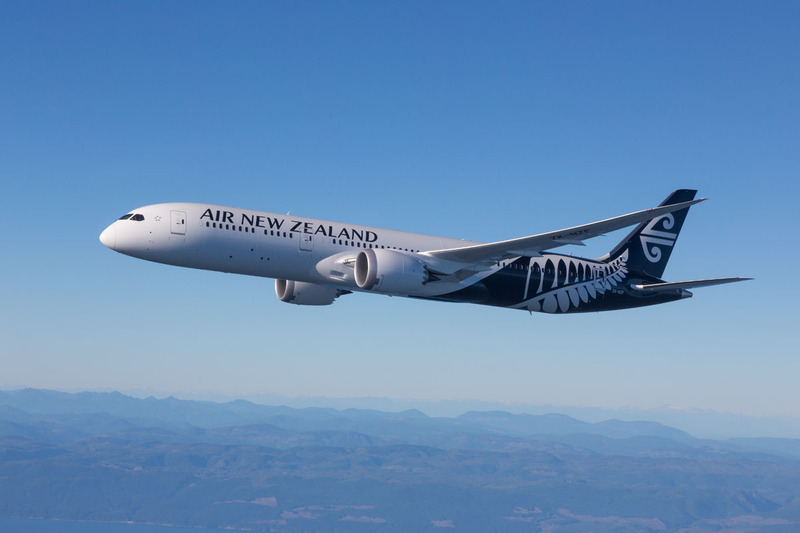 Air New Zealand has started trialing inflight Wi-Fi on one of its long haul Boeing 777-300 aircraft. The trial phase will test the technical aspects of the offering, while allowing the airline to gather customer feedback on service and pricing options. The airline is rolling out Wi-Fi capability across its international jet fleet, beginning with the 777-300 aircraft. They aim to have installation on their Boeing 777-300 fleet completed by June 2018, and Boeing 777-200 rolling out from next April. Hotel Grand Windsor MGallery by Sofitel has relaunched after a multimillion-dollar refit. Guests will enjoy exquisitely appointed guest rooms and suites and quality dining to match at Cooke’s Restaurant and Bar. The hotel is perfectly located to take advantage of luxury shopping and retailers, all while neighbouring Auckland’s beautiful waterfront. Cooke’s Restaurant & Bar pays homage to the famous eatery of the same name which first occupied the building back in 1928. Diners will enjoy a beautifully created menu in which wholefood dishes are the star attractions. 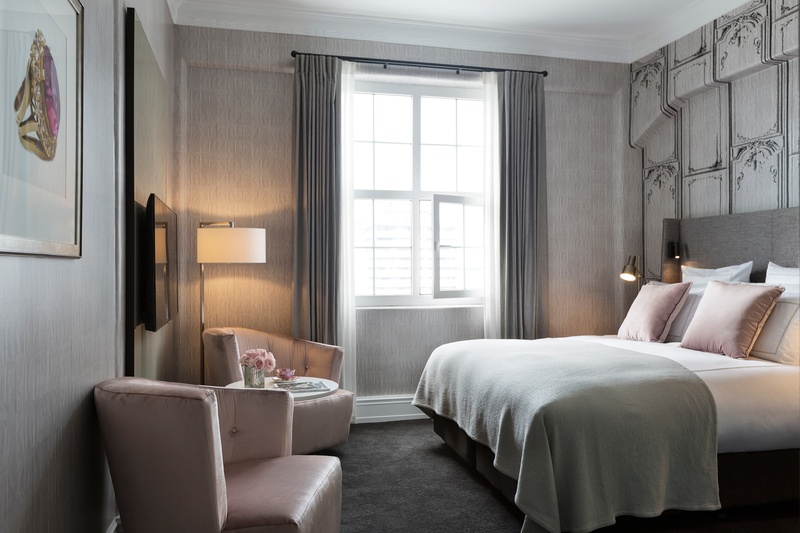 After a careful restoration to provide an experience to remember, Hotel Grand Windsor is entering a new era as one of the top five-star boutique hotels in the country. 2017 is set to feature a line-up of major local and international events nationwide. Consequently, availability of accommodation and cars is shaping up to be very challenging, with some dates already selling out. We are advising our clients to book well in advance for essential travel. 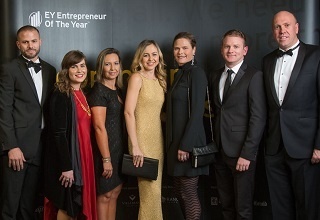 APX Travel Management was a proud sponsor of the EY Entrepreneur of the Year Awards for the fifth year running, and thrilled to be there on the night as Peter Harris (Group Managing Director of CBL Corporation) was named New Zealand Entrepreneur of the Year. We'll be sending Peter to Monte Carlo next June, where he will represent New Zealand and compete against over 60 national winners for the EY World Entrepreneur of the Year title. Other winners on the night included The Whittaker Family, who were awarded the Family Business Award of Excellence, and Dame Wendy Pye DNZM MBE who was presented with the Exceptional Services to Entrepreneurship Award. The DoubleTree by Hilton is due to open in Wellington mid-2018. Ideally situated for both business and leisure, the DoubleTree is located in the heart of Wellington, on the corner of Lambton Quay and Grey Street. The building was constructed in 1928, so the hotel combines old world charm with modern amenities such as an HDTV, Wi-Fi access and a rain shower. The hotel also includes an onsite restaurant, fitness centre, business centre, and flexible space for small meetings and events. Rooms are available to book now, for reservation from 1 July 2018 and beyond. Avis Budget Melbourne counter location renovations commenced on 23 October, and are expected to take until 8 December 2017. During this time, all customers will be directed to the Qantas and Virgin terminal counters. Preferred and Fastbreak customers can head straight to the Preferred/Fastbreak booth, located in the carpark. To minimise customer impact during this time, a notification will be added to all Melbourne Airport reservations, to advise them of the renovations being carried out. Additionally, there will be rental sales agents directing customers as best we can with signs during peak flight arrival times at the Qantas and Virgin terminals. No delays are expected. This month Qantas and Emirates announced additional network changes under the joint partnership, providing customers with greater year round frequency and more Trans-Tasman services. From March 2018, Emirates will stop flying from Melbourne and Brisbane to Auckland, instead focusing on its non-stop Auckland-Dubai service. Daily A380 flights from Dubai to Christchurch via Sydney will continue, new direct services between New Zealand and Dubai are being evaluated. Qantas will increase the frequency of its services between New Zealand and Australia, adding seven new return flights per week between Melbourne and Auckland and an extra two return services per week between Brisbane and Auckland. Some of these services will be up-gauged from a 737 to a wide-body A330. These co-ordinated route changes improve connectivity and schedule choice across the combined network, and customers flying Trans-Tasman, particularly business travellers, will benefit from the improved schedule choice. After the fantastic response to the special offer on valet parking at Auckland Airport’s Domestic and International terminals, APX have partnered with Christchurch Airport to offer customers special negotiated rates. There’s five parking options to choose from, and no fees for cancellations made at least 24 hours prior to arrival. Bookings can be made via an APX Consultant, ensuring all booking information is consolidated in a single itinerary. 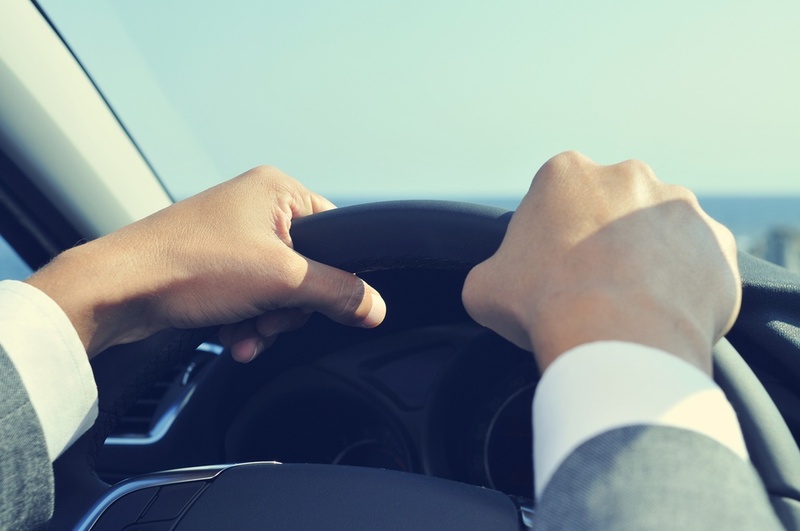 Once a booking is made travellers will receive a booking confirmation via email, including detailed instructions to locate the parking including a map of the chosen car park. 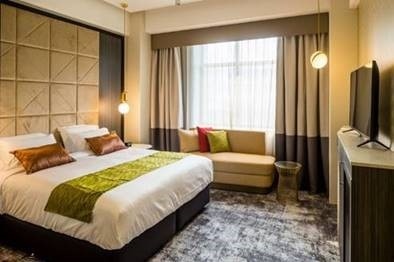 The highly anticipated M Social Auckland opened its doors this month, the latest addition to Millennium Hotels and Resorts’ signature Leng’s Collection. Selected floors are currently open and available to book, however finishing touches are still being put on the gym, club lounge and suites. All 190 of the contemporary and chic guestrooms feature wall-to-wall windows overlooking the harbour, and each floor of the hotel has a defining theme created by local street artists, featuring elements of local culture. With a focus on technology and innovation, the hotel will provide self-service check-in kiosks to streamline the check-in and check-out process, as well as offering a traditional reception desk and concierge service. The Air New Zealand Wellington International Lounge is closed from 30 October through to December 2017 as it undergoes a soft refurbishment. Lounge eligible members will instead be able to access the regional or domestic lounges at Wellington airport before proceeding through security screening and customs to enter the international departures area of the terminal. These members are advised to be aware of the boarding time indicated on their boarding pass for their international flight departure and ensure they allow sufficient time to travel to the International departure gate via the security screening.